IRISH WRITING ON LAFCADIO HEARN AND JAPAN, edited by Sean G. Ronan. Global Oriental, 1997, 351 pp., unpriced. In his prefatory remarks, Donald Richie notes the decline in Lafcadio Hearn's reputation in the immediate postwar period and suggests some reasons for it. But all Hearn's books about Japan were reprinted in the 1970s and in recent decades there has been a steady trickle of new studies of his life and work. Last year was something of a bumper crop, with four new titles, two of them the subject of this review. It was not that Hearn was ever lost to the affections of the Japanese, since an anecdote in the preface to "Irish Writing" makes clear how close he has remained to the hearts of people in his adopted land. But his critical reputation, as a writer and interpreter, has wavered. The various tributes from Ireland gathered by Sean Ronan, the former Irish ambassador to Japan, show how affection for Hearn is growing overseas. Hearn cannot, though, be easily or straightforwardly claimed as an Irish writer. Born in Greece to a Greek mother and Irish father, he was raised by his father's relatives, and spent the important years of his childhood in Ireland. Ciaran Murray, in one essay, intriguingly surmises, from the way that Hearn's name was given in Japanese, that he may have retained an Irish accent Nevertheless, a full accounting of his life and work must also acknowledge that he was educated in England and possibly France, and spent 20 years in America, including a sojourn in the West Indies, before he ever reached Japan. But it was Japan that made him. Forty years old when he arrived in 1889, and dead at only 54, he managed to produce 11 substantial books about this country. From the heady enthusiasm of "Glimpses of Unfamiliar Japan" (1894) to the more sober and reflective "Japan: An Attempt at Interpretation" (1904), they cover an enormous range of subject matter. It is from this voluminous output, "over 4,000 printed pages" not including correspondence and other writing, that Donald Richie has made his very interesting and concise selection. 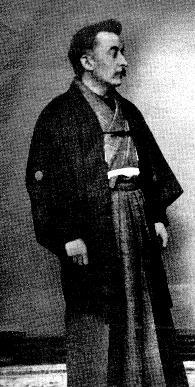 Like any introductory account, "Lafcadio Hearn's Japan" is divided into two parts, dealing first with the land and then with the inhabitants. But Richie's prefatory notes call attention to Hearn's changing attitudes to the things that he observed and wrote about. The initial enthusiasm dampened a little, which in its turn deepened Hearn's understanding. Richie, long familiar with the ups and downs of life as a foreign resident in Japan, well knows why and how such changes in attitude occur. With writers, it is notable that, on lengthening acquaintance, they are less inclined to generalize about "the Japanese," and more inclined to write of individual people that they know. Considering the disadvantages that Hearn suffered -- one eye lost in a schoolyard conflict, a limited knowledge of the language -- he was remarkably successful at getting people's stories. Undoubtedly this was because he was interested in people and what they had to say, as the selections in this volume continually attest. And Richie, more gifted in capturing the essence of a person on the page than any other foreign writer living in Japan, readily picks out the best of Hearn's evocations. Of course, Hearn was an experienced writer, with several books to his credit, when he reached Japan. Some of his lyrical accounts, such as the enchanting "In the Cave of the Children's Ghosts," are beautifully sustained. At the same time, he reveals the cruelty and restrictions of Japan, especially in one piece about the outcast minorities, where we see Hearn the investigative journalist at work. Later writing shows a decline in the use of epithets like "quaint," "curious" and "fantastic," and has more affecting human detail. Hearn's individual stories are freighted with the remembered past and wonderfully evoke "the haunting of invisible sympathy and tenderness-the gladness and the grief of the dead in the joy and the sorrow of the living." And that is what novels are frequently about. The pieces Richie has chosen for this book are excellent, variable in approach and subject matter, yet consistent in quality. There have been other anthologies, but this one is more sharply focused than its predecessors. It is also astute in its arrangement, opening and closing as it does with excerpts from Hearn's final book. The former of these speaks welcomingly of charm, while the latter hints more darkly at oppression. Indeed, the last entry speaks resonantly to the political situation in Japan today. Richie's useful bibliography of Hearn's writings on Japan, and of books and articles about him, omits only one title that I noticed, the recent biography by Paul Murray. Murray contributes two very informative and interesting essays to "Irish Writing on Lafcadio Hearn and Japan," as well as a section on new biographical material. Other notable contributions to the book come from Barbara Hayley and George Hughes, who trace different aspects of the relationship between Hearn, the poet W.B. Yeats -- the other great figure from Ireland who was interested in Japan -- and the country itself. It is a complicated triangle, but Hearn's Japan, based on living witness rather than dreams and speculation, has perhaps been the more widely influential. Any student of overseas literature referring directly or indirectly to Japan, especially before the war, will find Hearn's presence everywhere. He crops up significantly in the work of two lesser-known Irish writers whom I have been investigating. One of them, a poet and a contemporary of Yeats, met Hearn's widow by chance on a visit here in 1919, and was immensely gratified by this. The other retold the story of the "Peony Lantern," drawn from Hearn's version of it, in an essay published in New York in that same year. Richie includes this haunting tale in his anthology. There are really three Hearns -- Patrick, as he was known to relatives in Ireland; Lafcadio, as he chose to call himself when he reached America; and Yakumo (Koizumi), the naturalized citizen of Japan -- for he reinvented himself twice. "Irish Writing" opens up new aspects of this remarkable man for research and discussion. It contains a fine poem about him, too. And together these books suggest that there may be yet other aspects of Hearn waiting to be explored and recognized -- his correspondence, for example, samples of which found their way into "The Faber Book of Letters," edited by Felix Pryor.